And love it!!! Put a miltat 3D Oyster on it (way better than the Seiko bracelet) and it is amazing. I'm thinking of doing the same. I was actually on the hunt for a Hulk but the scarcity got me looking at Grand Seikos, and eventually Seikos, and there're so many yummy goodies out there! I'm going to sleep on it for another week before I unload and exchange. Man oh man! I 've been eyeing Seiko's too of late, especially the GS. Turning to be a Seikoholic so much so I bought myself an Ice Monster last week. 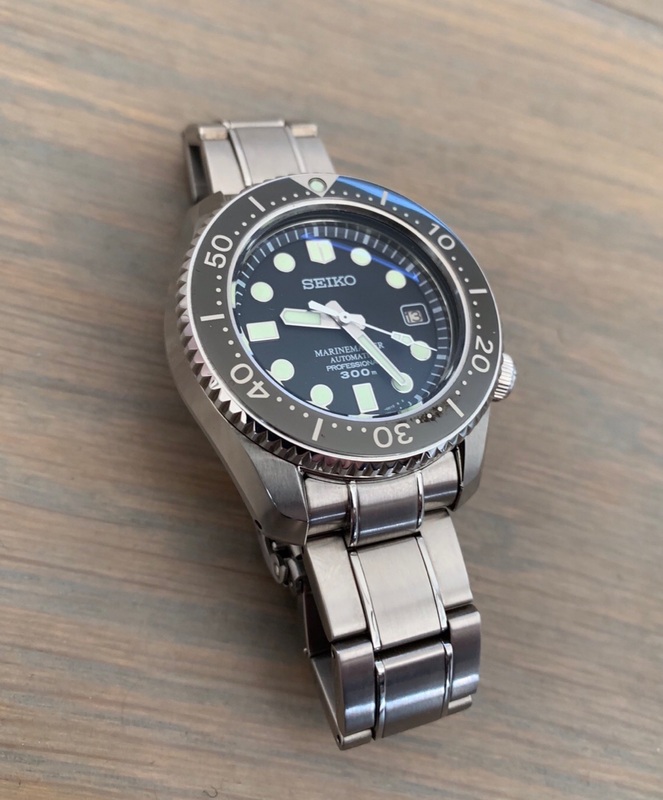 Seiko seems to be much more addictive as prices are affordable and sustainable. I have gone into the Seiko lineup with 6 regular Seiko's and one Grand Seiko. I really like the brand and will the ability to find most models with a discount it is nice. I am waiting to see the new SLA033 at my AD but will probably make the purchase but we will see. The price is the only thing holding me up but I will probably overcome that. You haven't had a real Seiko unless you have sampled a Marinemaster. It's the Submariner killer. I'm sorry but I think you are crazy! Sell a BLNR for a regular turtle? For the sake of $300 I would have just had both..
Find More Posts by Swiss Mad! Originally Posted by Swiss Mad! It's not the time in your life, it's the life in your time. Well, I am keeping my BLNR, but I wear my Turtles more often! Whatever floats your boat! I have enough watches. The money back from the BLNR will be used for trips with my son to make new memories with the LN lol. End of day, I like the LN better. One was gonna go for the above reason, it was the BLNR. This turtle is the perfect replacement. It’s a cross of my Bluesy and BLNR for way less zeros. I don’t care if no one knows what it is, and I’m not in the watch game for market speculation. That’s what stocks and bonds are for. BLNR is awesome, but it wasn’t for me either. The idea of selling excess watches and redeploying the moolah has its appeal. Congrats, I miss my MM300. Need to pick another up sometime this year. Good luck trying to get one as they have been discontinued and replaced with ceramic bezels and sapphire crystals. And to top it all off...a very prominent “X” on the dial of the watch.